Bring comfort, durability and cushioning these Nike Lunar Prime Iron II Training Shoes have everything you need to hit training with energy. These mens training shoes from Nike offer the wearer lightweight cushioning with a locked in feeling which makes training easier than ever and with the added benefit of the Dynamic Fit Tech which wrap the foot to keep the foot firmly in place for all the dynamic movements you'll find yourself making. The breathable mesh keeps the foot cool and fresh keeping you in the game for as long as necessary. 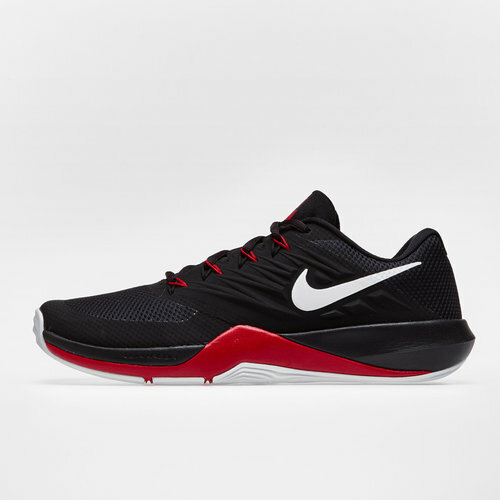 The design is simple and takes a no-nonsense approach, nothing fancy just a great shoe for working out.